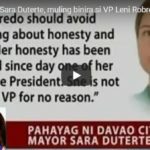 Ever since the elections 2016, President Rodrigo Du30 has been very consistent that he does not want to be in the top post of the country. Instead, he intends to pass over the presidency to Bongbong Marcos who is likely his real successor. 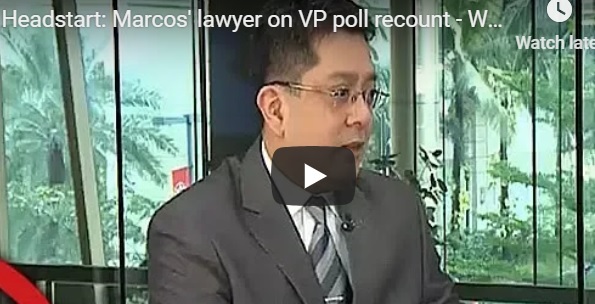 Marcos’ electoral protest against Vice President Leni Robredo is slowly progressing. The gag order to both camps made it very quiet. Thus causing apprehensions among the people. If Du30 is really a dictator as what his detractors claim, then this should not be the case. The anti-Du30 administration media cannot hide the fact that the President endorses Marcos during one of his earlier trips in China. He said that if he wins the electoral protest, the Philippines will have a new Vice President. True enough to his world, he never fails to show his acceptance to VP Leni Robredo. This made her resign from his cabinet. She is now out of the loop and only uses her office to block the anticipated takeover. Marcos’ clarification during his pre-election debate with Du30’s running mate, now Secretary of Foreign Affairs, Alan Peter Cayetano is clear that he understands the President’s intention. Despite this huge favor, he is not happy of the enormous electoral protest delay. He criticizes Robredo’s motion for grave concern over the use of a plastic magnifying glass by his revisor. 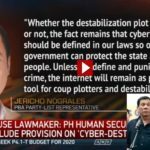 As dictated by the rule of law, Du30 can’t do anything about it. 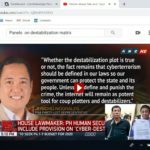 The government critics are clearly foolish when they accuse Du30 of dictatorship. 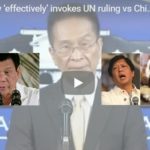 They should know that the Philippine constitution dictates that there are 3 equal branches of government that can dispute each other. This means that the Filipino leader cannot drastically change the country’s policies. He can only talk about it however he likes but the legal processes remain. 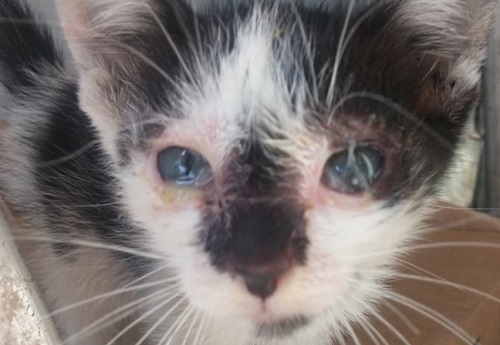 Surprisingly, no critic of him ever disputes the PET’s gag order which is clearly a suppression of the freedom for information. The President said that if he cannot solve the crime problem in 3 to 6 months, he will turn over the post to Bongbong. It is specific that’s it’s for him. Not to whoever claims to be the VP. If he has his way, he can just settle back in Davao and enjoy being a grandfather. He is surely not getting any younger. Marcos might be seen getting ready for whatever happens but the opposition is expected to do whatever it can again to block him from the presidency. Majority of Filipinos voted for Du30 and his trust rating remains high. Therefore, the country is now ready for the next Marcos to be President in the era of greatness. At Gloria Macapagal-Arroyo’s birthday celebration in Pampanga, Bongbong Marcos apologized to well-wishers for their unaccounted votes in the elections 2016. He swears that he will not stop pursuing his electoral protest against Leni Robredo until each vote is accounted for. [VIDEO]: Former president and now Pampanga 2nd District Representative Gloria Arroyo celebrated her 70th birthday with several political VIPs. Among them, former Senator Bongbong Marcos. 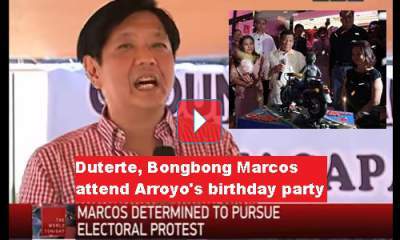 Marcos attended Arroyo’s birthday party twice. In Pampanga early on and at her residence in Quezon City later that day. Du30, however, was not able to make it in the Pampanga event but managed to be at the Quezon City bash together with his family. Arroyo’s evening party was held at her residence in La Vista Subdivision, Quezon City. The President showed up with his common-law wife Honeylet Avanceña and their 12-year-old daughter Veronica. This looks like a more intimate get-together of allies. As a leader, former president Arroyo wishes for the success of the president because this would mean success for the country as well. She is in politics so nothing can disturb her celebration despite controversies around her political guests like Du30 himself, Marcos, and Senator Richard Gordon. 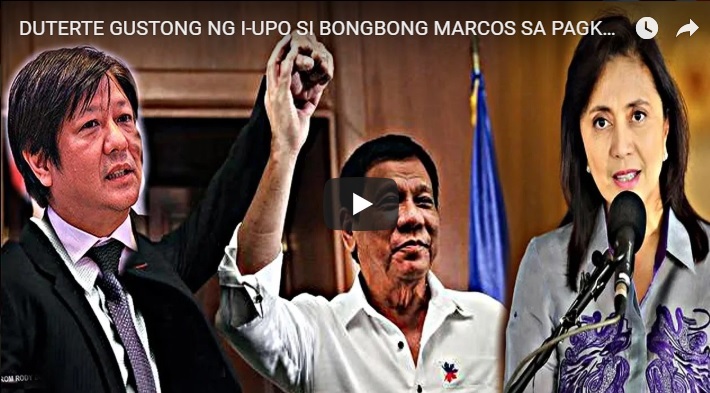 Supporters of Bongbong Marcos are hopeful that the events during Arroyo’s birthday signify that the president is still the strongest supporter of Marcos. After a long silence, loyalists are about to take assembly at the Supreme Court vicinity for their call to expedite recount. Marcos’ recent Pampanga speech seems to jive with the upcoming movement.